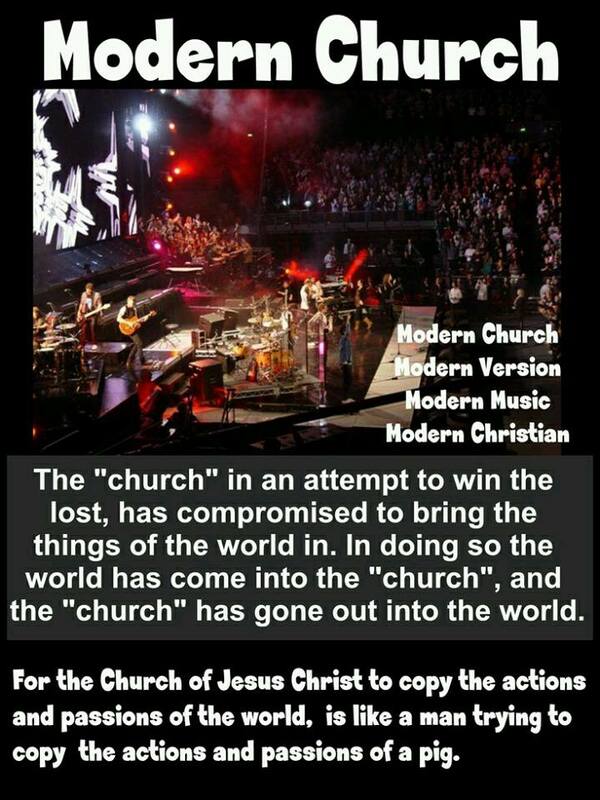 I would like to preface I don’t believe all contemporary christian music (CCM) is bad, but from what I have listened to much of it lacks any kind of anointing from what I can discern. I wonder why that is? I heard songs from a Christian radio station based in the Los Angeles area and tell you the truth I can’t distinguish it from secular music. Hardly any recognizable scripture can be heard in most of the songs and the name “Jesus” – the name above all names is hardly uttered. Yes, I am sure there are exceptions but for the most part it is what I have observed. According to “Christian” rocker, Tim Lambesis, most “Christian” rock bands are not even Christian. They just claimed to be Christian for money. Did you notice the fun fact in the graphic? I couldn’t find any message of the Gospel and repentance on any CCM’s official website. Not one! Most of them you won’t even find the word “Jesus.” If someone can find one please notify me. Aren’t they supposed to be ministers unto the Lord? You would expect a minister to be all about Jesus especially on their official website. I am not saying all the bands and singers are not really Christian but it really does make one question if they really are. Didn’t Jesus warn us that there will be many wolves in sheep’s clothing? There is even a Christian music awards ceremony. Something about this rubs me the wrong way. Considering Jesus was hated and even said if you were of this world the world would love you should really raise red flags concerning this matter. Should there even be a Christian awards? Why is man (or woman) receiving an award for music that should be dedicated to the Lord and was supposed to be received by His Spirit? Must I repeat all glory goes to God? This just builds up pride and Christians are supposed be peculiar and set apart instead of aping this fallen world. When Israel broke down the walls of separation and failed to make a distinction between the unclean and the clean, the holy and the unholy, God judged them. “Her priests have violated my law, and have profaned mine holy things: they have put no difference between the holy and profane, neither have they shewed difference between the unclean and the clean, and have hid their eyes from my sabbaths, and I am profaned among them” (Ezek. 22:26). “And be not conformed to this world: but be ye transformed by the renewing of your mind, that ye may prove what is that good, and acceptable, and perfect, will of God” (Rom. 12:2). Scriptures commands Christians to sing TO God. It is not about us, being entertained, or our flesh. God created music so we can sing UNTO Him. Psalms 100:1-2 – (A Psalm of praise.) Make a joyful noise unto the LORD, all ye lands. 2 Serve the LORD with gladness: come before his presence with singing. Psalms 95:1-2 – O come, let us sing unto the LORD: let us make a joyful noise to the rock of our salvation. 2 Let us come before his presence with thanksgiving, and make a joyful noise unto him with psalms. Notice, it is “the Lord’s song” — NOT the world’s song or even Israel’s song. Psalm 71:22-24 – 22 I will also praise thee with the psaltery, [even] thy truth, O my God: unto thee will I sing with the harp, O thou Holy One of Israel.23 My lips shall greatly rejoice when I sing unto thee; and my soul, which thou hast redeemed. 24 My tongue also shall talk of thy righteousness all the day long: for they are confounded, for they are brought unto shame, that seek my hurt. 21 And when he had consulted with the people, he appointed singers unto the LORD, and that should praise the beauty of holiness, as they went out before the army, and to say, Praise the LORD; for his mercy [endureth] for ever. 22 And when they began to sing and to praise, the LORD set ambushments against the children of Ammon, Moab, and mount Seir, which were come against Judah; and they were smitten. If the artists brings more attention to the music itself or himself or herself rather than to Jesus Christ that is idolatry. From what I’ve seen CCM concerts seem to glorify the performer rather than Jesus. All glory and praise should be directed towards God. Making Money Off Music Dedicated Unto the Lord? I think there is something not quite right when music that should be dedicated unto the Lord is sold at a price when they have concerts. I am not against receiving donations, that I believe is biblical. But I can’t imagine any of the apostles throwing a rock concert selling tickets to the public for profit. Bethel music has ticket prices starting at a whopping $199 (actually more than that when other fees are added)! If it really was about God then why do a lot of these “Christian” music acts sell their music for money? Didn’t Jesus say freely you have received freely give? If their music is inspired by the Holy Spirit then they should freely allow people to download their music. There should be no copyright on their music. I can’t imagine the Paul and Peter selling their music to people. Am I the only one who thinks it is wrong to commoditize what God supposedly gave you? In contrast there is Fanny Crosby. From what I have gathered Fanny Crosby was a Christian. She was one of the most prolific hymnists in history, writing over 8,000 hymns and gospel songs, with over 100 million copies printed, despite being blind from shortly after birth. Fanny used over 200 different pen names because she wanted to make sure God got the glory and not her. If I didn’t know better I would think Satan is using the watered down, secularly blended “Christian” music to quench the Spirit of God. The enemy knows how influential and powerful music is. We have to remember we are in a war and he is fighting it at every front even when it comes to music. You can’t serve two masters. You can’t serve Jesus and the devil at the same time. If you are going to serve the Lord then do it wholeheartedly. Knowing the spirit behind Rock music is of the enemy and most “Christian” rock bands are not even Christian what spirit do you think is operating behind their music? You said that not all artists that call themselves “Christian” are, in your viewpoint, bad. Who are the artists you think are appropriate to listen to? If we look hard enough we can find something wrong with any song or anything. Many folks label The Andy Griffith Show as wholesome yet Andy smokes in several of the episodes. Technically, that’s drug use. Thanks for your time! I personally listen to Richard Smallwood. I don’t much about him but I believe a lot of his music is anointed, focuses on God, and is theologically sound. Yes, no one is perfect but you have to draw the line somewhere.